Rychiger, based in Steffisburg, Switzerland, is an innovative supplier for the packaging industry. 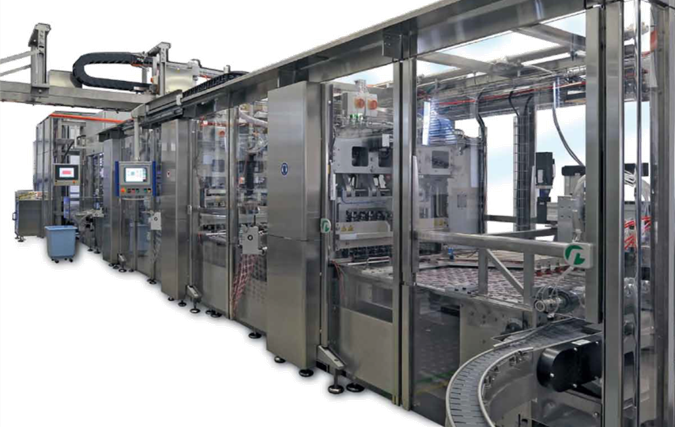 With over 200 employees, Rychiger develops and builds high-end packaging lines for food and pharma products. Due to shelf life and quality requirements and regulations in this segment, the products are often packaged under modified atmosphere conditions, where the ambient air is replaced with a selected mix of gases, usually nitrogen. Especially for coffee pods, the requirements regarding residual oxygen within a pod are stringent, and nitrogen costs contribute significantly to the operating costs. 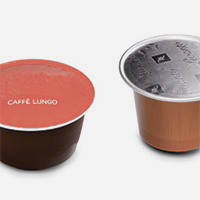 To optimize the nitrogen consumption during development and maintenance of the complex packaging systems, streamwise and Rychiger decided to co-develop a wireless sensor that can withstand the packaging process within a coffee pod for exact measurement of the oxygen distribution within the packaging line. It became quickly evident the requirements regarding response time, accuracy at low oxygen levels, and power consumption ideally fit with a sensor based on pressure sensitive paint (PSP). In PSP, the fluorescent response of the paint molecules is a function of the number of oxygen molecules present, i.e., the pressure or concentration of oxygen. As the signal increases with a decreasing number of oxygen molecules present, the method is very accurate at the low oxygen levels required for high-quality coffee. The challenge was to decrease the response time, power consumption, and size of the sensor, all while maintaining the high measurement accuracy. 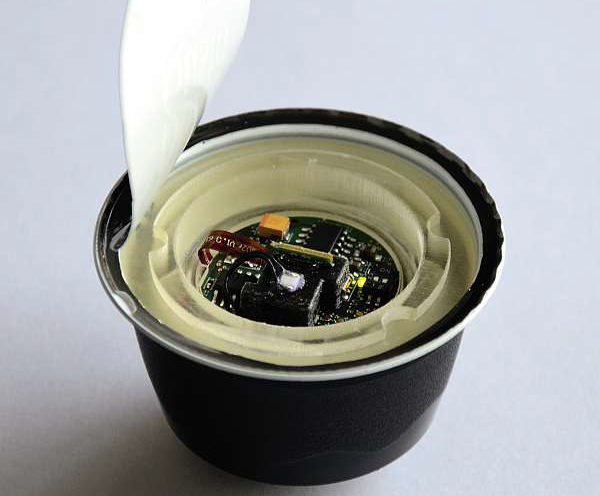 The entire sensor with a size of 30 x 30 x 20 mm, including radio module and battery, now fits in a Nespresso coffee pod. The data is recorded at a rate of 5 Hz and transmitted wirelessly in real-time or logged on-board for later readout. Temperature is corrected with an on-board temperature sensor, while the position within the packaging line is recorded with a 3-axes accelerometer. Up to five sensors can work simultaneously. The concept of substituting the coffee in a pod with a wireless sensor proved to be an immediate success. With the ability for directed adjustment, not only could the nitrogen consumption be lowered significantly, but also the time for setup and maintenance decreased dramatically. The system, now used routinely by Rychiger in R&D and maintenance, is available from streamwise for an entire range of applications.